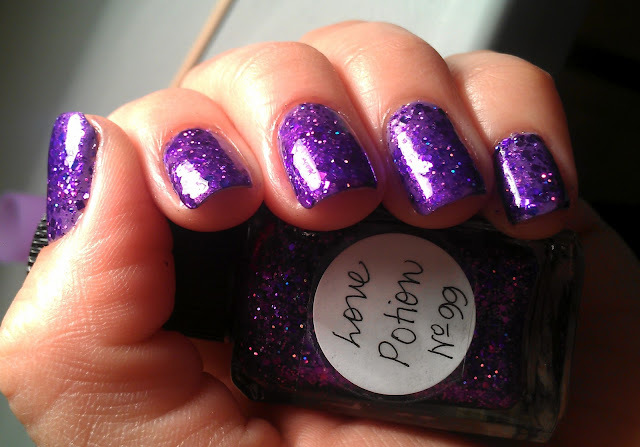 Another short post... Lynnderella's Love Potion No. 99... What can I say about this .. JUST SIMPLY STUNNING!!!! Happy Valentine's day for you too. Soo pretty! I truly love this color. 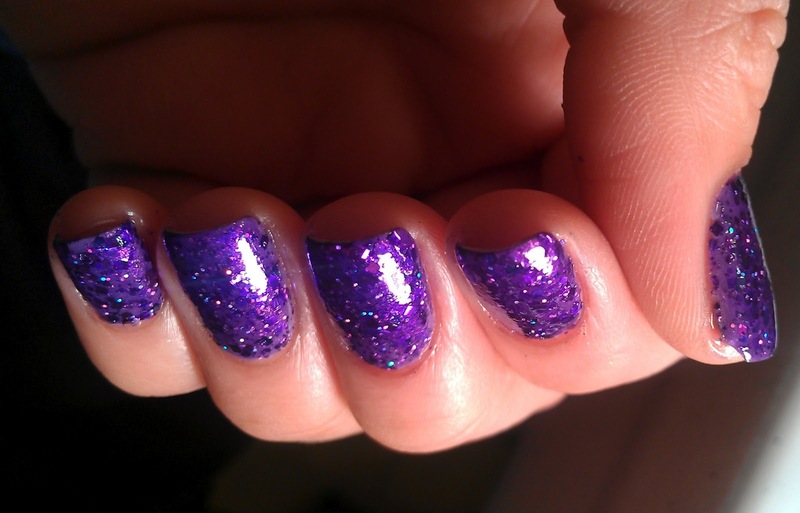 I would have a blast going through your polishes ♥ Happy vday! 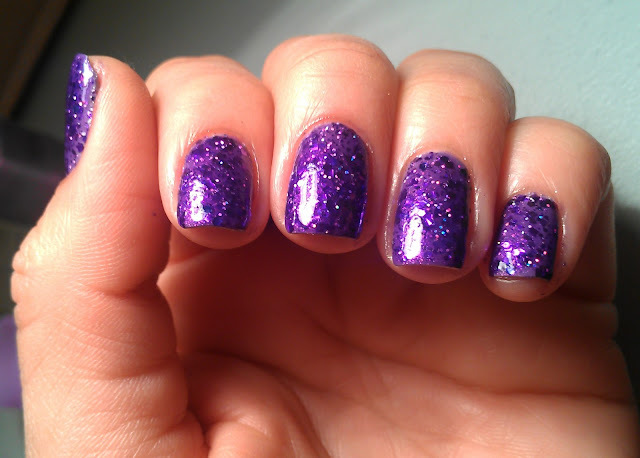 This is an AAAAAmazing polish, it looks absolutely fabulous on you! Happy Vday <3! I need a man first-then I'll get back to you for the love potion!! HAHAHA! This is really cool! This is beautiful! It's like a giant purple pool of beautiful. 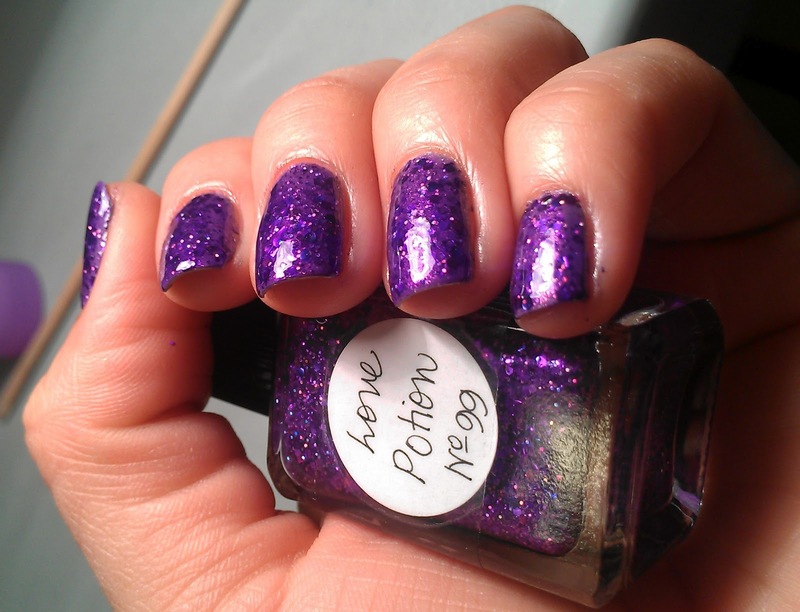 You don't need to say anything about this polish - the pictures say it all! Gorgeous!!! It's so great on you! I know I love looking at this finish but then I don't like it on myself!